The master plan of Godrej Reflections will woo each and every potential buyer. 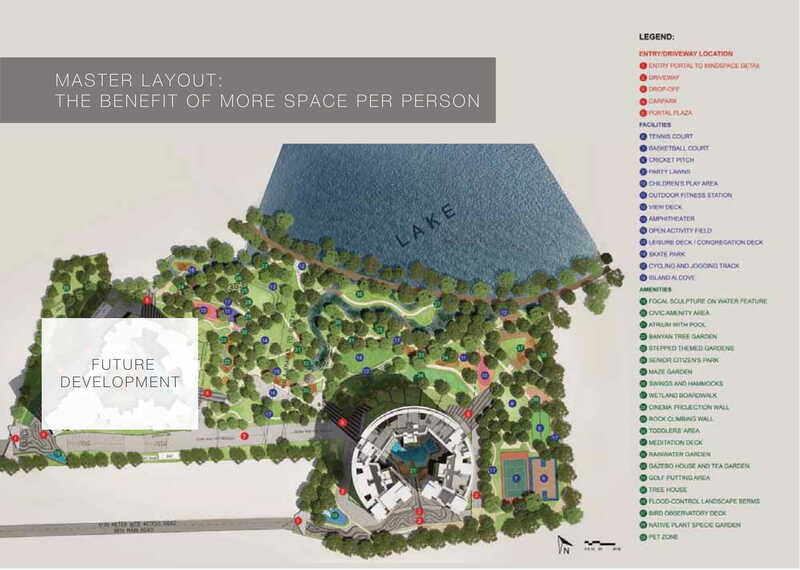 Offering 80% open space the units are being planned in such a way that there is no hindrance to sunlight and fresh air. The availability of such a wide open space is one of the USPs of Godrej Reflections. After all, after a tough day at work, he/she will want to achieve some peace and tranquility in one’s life. Godrej Reflections is here to give buyers a unique experience which will last a lifetime. Get in touch to know more about Godrej’s brand-new lake-view residential project. An efficient design and planning team has figured out the key to better lives of the residence who would be residing here. Lets get an in-depth look about it in detail. We are currently in the process of revising our website in accordance with the Real Estate (Regulation and Development) Act, 2016 and the Rules made thereunder (“RERA”), which have been brought into effect from 1st May, 2018. Do not rely on the information contained on this website, until our revision and update is complete.The Company is not liable for any consequence of any action taken by the viewer relying on such material/ information on this website.This website is just for the purpose of information only and not to be considered as an official website.